Do you need another reason for a Las Vegas getaway? And can you wait till May? That's the timing for Vegas Uncork'd by Bon Appétit, a wildly popular and indulgent Vegas food festival, held in hotels and restaurants on the Las Vegas Strip every May. Inaugurated in 2007 by Bon Appétit and Visit Las Vegas, Uncork'd has become Sin City's most widely attended and hotly anticipated annual Vegas festival. May 9—12, 2019 are the current dates for Vegas Uncork'd. Sign up for email alerts on the Vegas Uncork'd website, and you'll be the first to know about future dates, chefs, events, and tickets. Every year, meals with the festival's most famous chefs sell out within days of the schedule's release. Virtually every famous chef has a restaurant in Vegas. Vegas Uncork'd events revolve around these celebrity chefs and their restaurants. Uncork'd events spotlight these restaurants, with special lunches, Master Series restaurant dinners, tastings, and more. 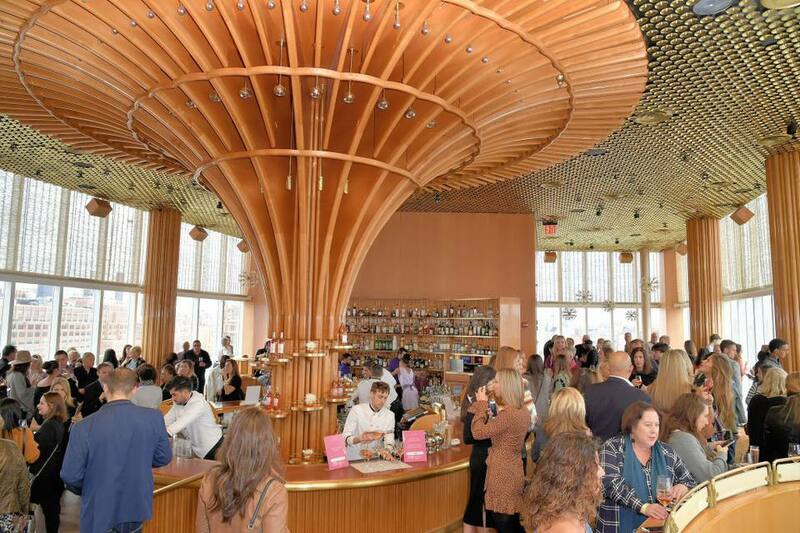 The lineup of celebrity chefs at Vegas Uncork'd 2019 include Lorena Garcia, Michael Voltaggio, Roy Choi, Susan Feninger and Gordon Ramsey. This festival is a way to experience Las Vegas's very best restaurants during gala meals, with the restaurant's celebrity chef actually in town, for once. It's a chance to meet these chefs one-on-one. It's an opportunity to taste fabulous food and drinks and to see what's new in Vegas. And last but not least, Vegas Uncork'd by Bon Appetit throws great parties, and isn't that what you wanted from Vegas? Around two dozen events compose Uncork'd. Each day, events start with a themed lunch at one of the featured restaurants. Drinking events spotlight wine, liquor, or beer and begin after lunch, with boozy tastings and classes. Each night, there is bacchanal, a gala tasting event. Some events are formal, while others are casual clambakes and barbecues. The Grand Tasting is the signature event of Uncork'd, held on the festival's Saturday night. This glamorous dining and drinking gala showcases the most exciting chefs from Vegas restaurants and the most innovative bartenders from Sin City's bars; they each make their own dishes and drinks in person. In 2018, over 2,500 revelers enjoyed dishes from over 50 award-winning chefs, sipped over 100 wines, and sampled new food and drink products. This specific event is held outdoors in the glittering Garden of the Gods Pool Oasis at Caesars Palace. This is not only the festival's signature event, it's a highlight of Vegas's social calendar. Those who want to pay extra can gain VIP access. Do not miss the Grand Tasting. Tickets are sold in various ways. Guests can purchase them to individual events, for a series of events; and as a VIP package, with numerous events.